Jewish Lights Publishing, 9781580230544, 32pp. What is heaven? Where do we find it? People said "for heaven's sake" to Isaiah a lot. Everyone talked about heaven. "Thank heavens." "Heaven forbid." But no one would say what heaven was or where to find it. After his grandfather died Isaiah was told that Grandpa had gone to heaven. Isaiah wondered exactly where and what heaven was. He became determined to find out, and sought answers from many different people. 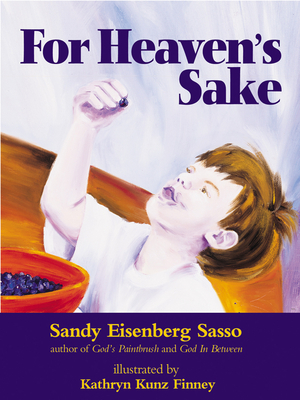 In this charming story, award-winning author Sandy Eisenberg Sasso teaches that heaven is often found in the places where you least expect it.